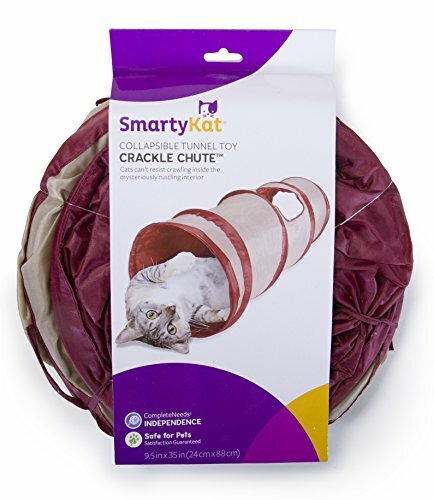 SmartyKat Crackle Chute Collapsible Cat Tunnel | Meow Report | The best email newsletter for cat lovers. 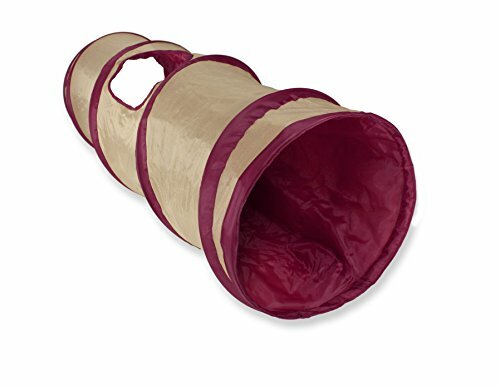 Your cat will love exploring the mysterious Crackle Chute tunnel that crackles with every step! 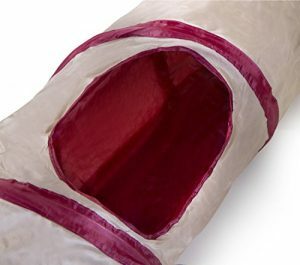 The side opening is perfect for hide-and-seek and playing chase with other cats. It can also be used for agility training for small dogs. Lightweight and collapsible, the Crackle Chute offers portable fun and stores away easily when playtime is over. The Crackle Chute also helps satisfy your cat’s instinctual need for independence. 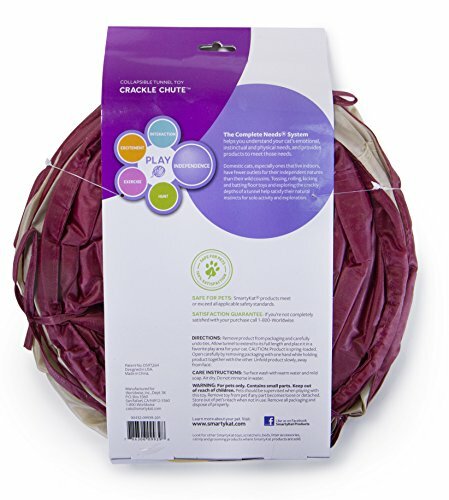 SmartyKat gives pet parents the best of all worlds: innovative products, stylish designs, environmental responsibility, and exceptional value with a variety of toys to meet a cat’s need for play, scratching, wellness, rest, and fun! A member of the Worldwise family of pet products, SmartyKat is grounded in the principles of pet safety, customer satisfaction, and environmental responsibility. SmartyKat products are designed to meet or exceed all applicable safety standards. They are then tested against those standards to ensure they meet our strict quality and safety requirements – ensuring they’re safe for all members of your family. SmartyKat offers a complete satisfaction guarantee. If a customer is dissatisfied with a SmartyKat product for any reason, they will replace it or refund it.